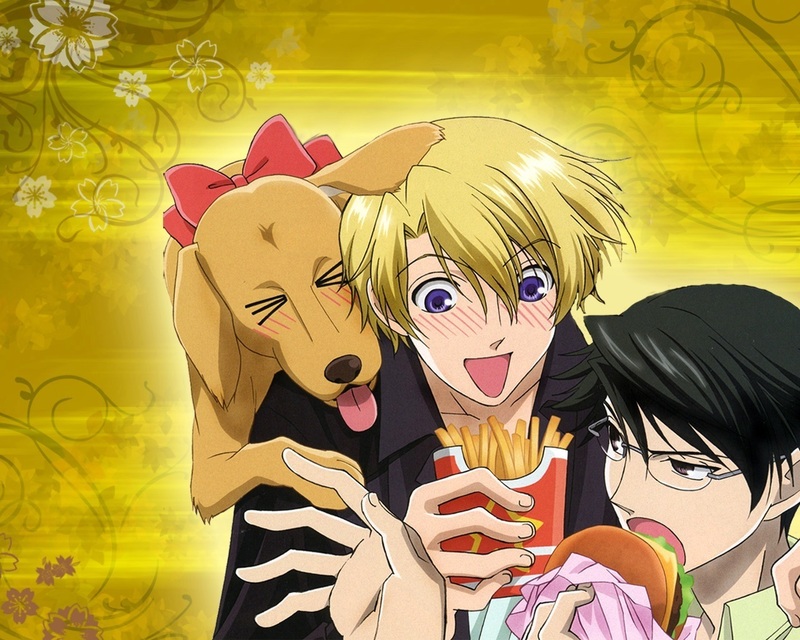 Kyoya and Tamaki. . HD Wallpaper and background images in the Host Club - le lycée de la séduction club tagged: ouran high school host club tamaki kyoya. lol i watch this episode. Yeakyouya hooked on fast food. awsome. <3 Kyouya-senpai and Tamaki-senpai are truly opposites! I love how cute they are together!!! I LOVE THIS PIC I JUST WANT TO HUG THEM BOTH EEEEEEEEEEEEEEEEEEEEEEEEEEEEEEEEEEEEEEEEEE­EEE­EEE­EEE­EEE­EEE­EEE­EEE­EEE­!!!­!!!­!!!­!!!­!!!­!!!­!!!­!!!­!!!­!!!­!!!­!!!­!!!­!!!­!!!­!!!­!!!­!!!­!!!­!! @ mellovesohshc I WANNA HUG THEM TOO!! !